The Sundarbans are an archipelago of islands located in the State of West Bengal in eastern India in the Ganges Delta, stretching into southern Bangladesh. They form the largest estuarine mangrove forest in the world. 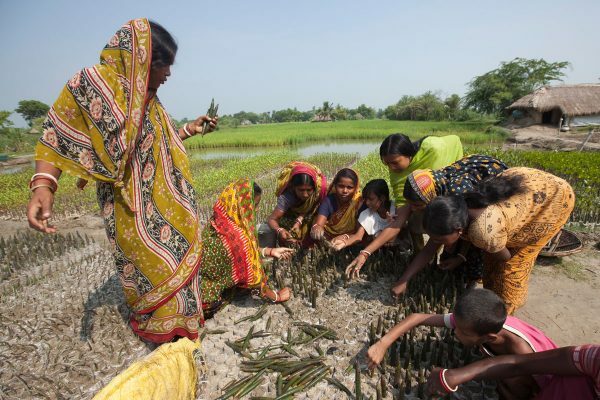 Yet its mangroves are rapidly disappearing due to climate change. 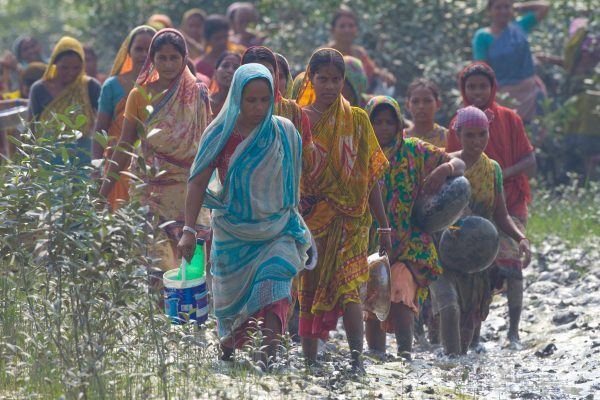 Experiencing sea-level rise faster than any other place on Earth, the Sundarbans have already lost more than 28 percent of its land in the past 40 years due to global warming. The Indian Foundation Nature Environment and Wildlife Society (NEWS) and Livelihoods are working with the local communities of the Sundarbans to restore these shrinking mangrove forests. 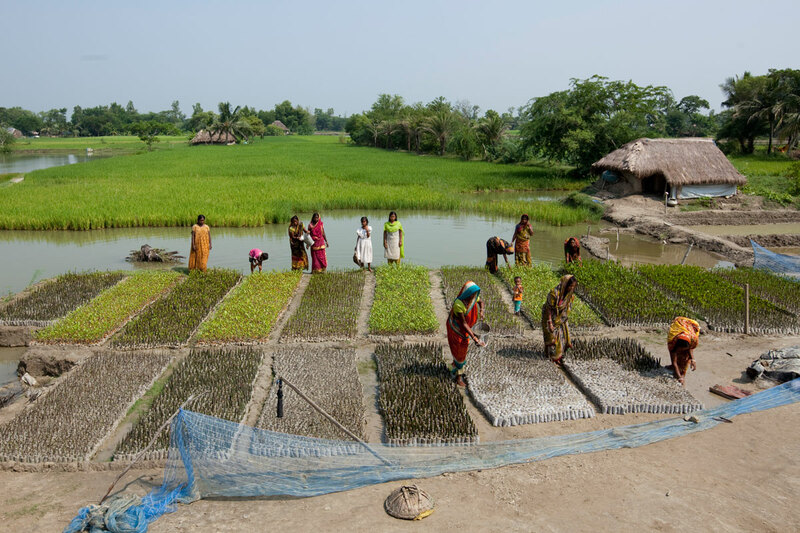 The project aims to plant more than 16 million mangroves to strengthen the existing man-made embankments that protect the communities’ homes and farmlands from flooding. 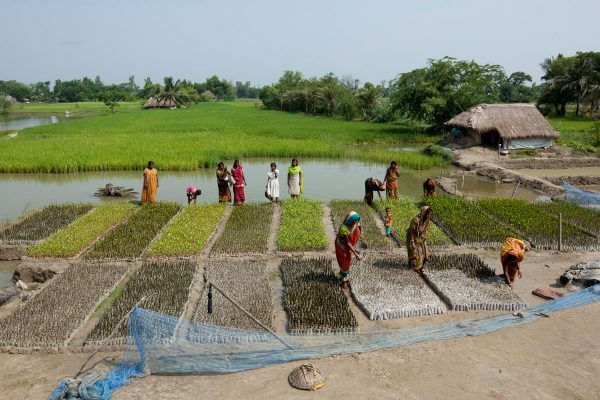 It also aims to restore local biodiversity, as mangroves are nurseries for fish, molluscs, and crustaceans, which will bring additional economic and nutritional value to the communities that are impacted by this project. This project will ensure the safety of the local population by reinforcing the existing dykes since mangroves are among the strongest natural barriers against floods and cyclones. The new mangroves will also produce timber and increase food supply, as villagers will be able to earn extra income by selling the crabs, shrimps, and molluscs that mangrove forests harbour. The new plantations will store 7,000,000 tonnes of TeqCO2 over the project’s life span of 20 years. 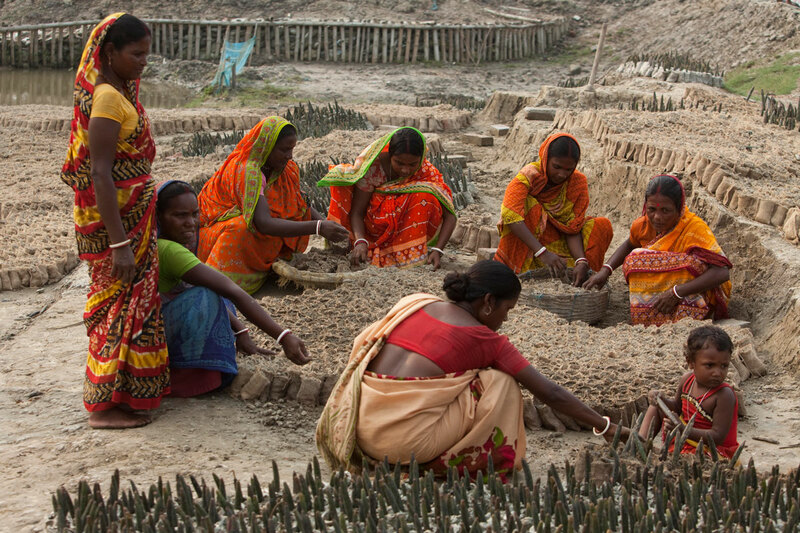 Improved livelihoods and the empowerment of the local women are also a direct benefit of this project. 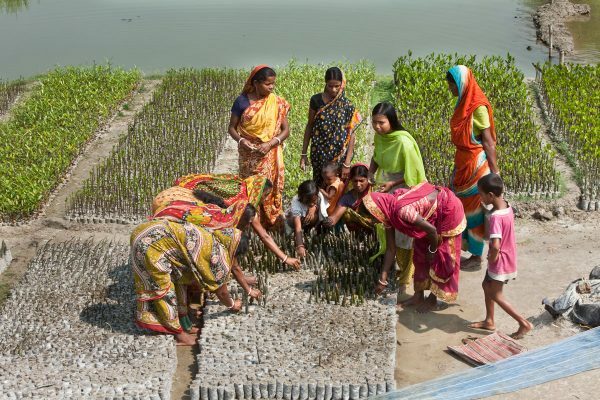 NEWS is training the women in establishing mangrove nurseries, from planting mangrove trees to managing them in the field. 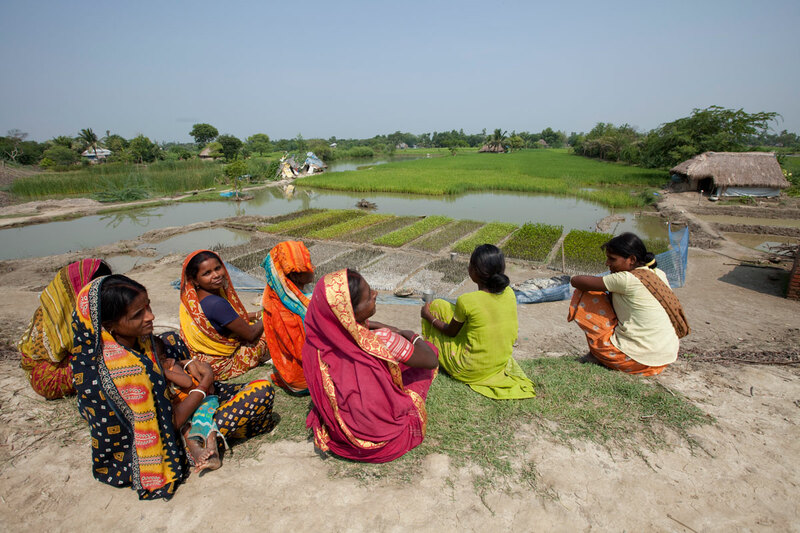 This socially-valuable programme will impart knowledge and skills to the women, elevating their statuses in the local communities and empowering them with a sense of pride that they are part of an environmentally-relevant project that has a significant impact on their daily lives. This project has been verified prior to registration with the United Nations Framework Convention on Climate Change (UNFCCC). The PPD (Project Detailed Document) was established by UNIQUE consultants and was audited by Ernst & Young as the DOE in August 2011. The final report received approval from the Indian authorities (CDMA) in May 2012.